Looking for something fun and exciting for your kids to do during the summer, winter, and spring breaks? Look no further! 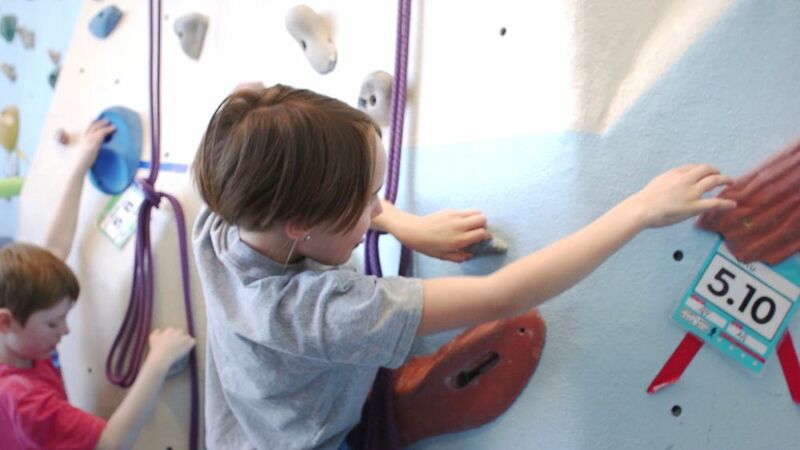 Consider a uniquely rewarding experience for your children with the Portland Rock Gym Kids Camps! Rock climbing has been shown to help build confidence, improve focus, and increase coordination and strength in children. And, there is no doubt that it is exceptionally fun! Our camps are for kids 6 to 15 years of age and will include games, technique instruction, and of course, a lot of climbing! Campers will participate in other activities throughout the week of camp. These activities include our slack-line, rope-swing, huge cargo net, and other high rope elements. Spots are limited, so register on-line today! During the summer, kids age 10 and up will head outside to climb around the greater Portland area for 1 day per week! So many opportunities for activities! Spring break camp is sold by the week. It is a full day camp that runs from 9:00AM to 3:30PM, Monday through Friday. 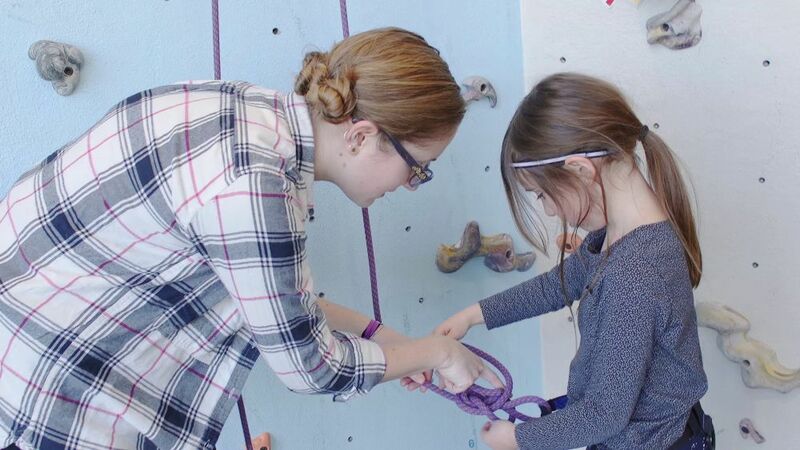 Older kids will learn basic rope handling skills including how to belay. Get outside this summer! Summer break camp is sold by the week. It is a full day camp that runs from 9:00AM to 3:30PM, Monday through Friday. Kids ages 10 and up will get to climb outside at a local cliff 1 day each week, as well as learn basic rope handling skills including how to belay. Contact us for more information regarding our camps! Spring Break Camp runs from March 25th through the 29th. Summer Break Camps starts June 17th. Refunding or rescheduling a camp is allowed without fee, up until a month in advance of the start of the camp. Due to the nature of camp, rescheduling within 15-28 days of the start of camp incurs a 25% fee, rescheduling within 14 days of the start of camp incurs a 50% fee. Cancellations without rescheduling made within 15-28 days before the start of camp result in a 75% return in the form of store credit for services, those made within 14 days of the start of camp will result in a 50% return in the form of store credit for services. The remaining amount is forfeited. If a parent is able to replace their child with a friend's child, we are happy to allow that. However, we do not process a refund in this case, it is up to the families to handle the financial aspect of such an arrangement. Due to the popularity of our camps, we often have a wait-list, so if you cannot maintain your reservation, please notify us so we can offer your spot to another camper. No-shows forfeit the entire price of the class or event. We cannot offer refunds on a camper’s single day of camp.